Free trade agreements (FTAs) are arrangements between two or more countries, or between a country and a trading bloc to abolish or reduce tariffs, quotas, and preferences on goods and services traded. Countries often agree to FTAs if their economic structures are complementary, not competitive. FTAs also cover areas such as intellectual property rights (IPRs), investment, and government procurement and competition policies. At the regional level, every customs union, trade common market, economic union, and customs and monetary union negotiate free trade areas. India looks favorably upon regional trading arrangements (RTAs), such as FTAs, Preferential Trade Agreements (PTAs), Comprehensive Economic Partnership Agreements (CEPAs), and Comprehensive Economic Cooperation Agreements (CECAs). India’s trade promotion strategies are briefly outlined below. Trade agreements are bilateral or multilateral treaties, or any other enforceable accord, which commit two or more countries to specified terms of trade and commerce. They mostly involve mutually beneficial concessions. India has negotiated trade liberalization arrangements with several countries and trade groupings, including pre-FTA level schemes and alternative trade relaxation programs with ASEAN, Sri Lanka, and Thailand. Prior to negotiating trade accords, potential trading partners sign framework agreements, which set the period for future substantive liberalization by defining the scope and provisions of orientation for some new area of discussions. India has previously signed framework agreements with the ASEAN (Association of Southeast Asian Nations) and MERCOSUR (Southern Common Market in Spanish) trade blocs, and countries like Japan and Korea. Aside from FTAs, India has negotiated other types of agreements to promote trade liberalization. An Early Harvest Scheme (EHS) is a precursor to an FTA between two trading partners. At this stage, the negotiating countries identify certain products for tariff liberalization pending the conclusion of actual FTA negotiations. The EHS is, therefore, used as a mechanism to build greater confidence between the trading partners, and structurally prepares them for subsequent, deeper economic engagement. India is keen on such schemes, and some EHS agreements are incorporated within existing treaties. India and Thailand signed an EHS in October 2003, where both countries agreed to reduce tariff duties on 83 products to zero, in a phased manner. In this type of agreement, two or more partners give preferential right of entry to certain products. This is done by reducing duties on an agreed number of tariff lines. A PTA is established through a trade pact, and is a stepping stone towards better economic relations with the concerned country. India enjoys PTAs with several countries, including Bangladesh, China, South Korea, and Sri Lanka. The key difference between an FTA and a PTA is that in a PTA there is a positive list of products on which duty is to be reduced; in an FTA, there is a negative list on which duty is not reduced or eliminated. These terms refer to integrated trade negotiations on goods, services, and investments as well as agreement on a broad range of areas such as trade facilitation and customs cooperation, investment, competition, and IPR. India has signed CEPAs with South Korea (in effect since 2010) and Japan (in effect since 2011) and CECAs with Singapore (2005) and Malaysia (2011). Formed in 1991, MERCOSUR is a sub-regional trading community in Latin America, and comprises of Argentina, Brazil, Paraguay, and Uruguay. Chile, Bolivia, Peru, Colombia, Ecuador as well as Guyana and Suriname are its associate members. While Bolivia is still negotiating membership status (Protocol of Accession stage), Venezuela’s membership was suspended in 2016. MERCOSUR is the third largest integrated market in the world after the European Union (EU) and the North American Free Trade Agreement (NAFTA). India and MERCOSUR signed an initial framework agreement on June 17, 2003, which outlined mutual tariff preferences and proposed a free trade area between the two parties in line with the rules of the World Trade Organization (WTO). Subsequently, India signed a PTA with MERCOSUR, which came into effect on June 1, 2009. As of 2017, India has requested for a third round of PTA expansion talks with MERCOSUR. Under the existing terms of the PTA – India has brought down duties on 452 items, ranging from 10 to 100 percent. These include meat products, chemicals, raw hides and skins, leather articles, wool, cotton yarn, glass and glassware, iron and steel, machinery and equipment, optical, photographic, and cinematographic apparatus. Meanwhile, India has secured preferential access for organic chemicals, pharmaceuticals, essential oils, plastics and articles, rubber and rubber products, tools and implements, machinery items, as well as electrical machinery and equipment. India’s bilateral trade with the bloc was US$10.08 billion in the 2015-16 financial year, but India now wants to expand PTA coverage to up to 2,500 tariff lines. India and South Korea signed a joint statement on July 10, 2018 to upgrade negotiations under CEPA, with early harvest offers made for 35 items. In addition, yoga and taekwondo instructors were included in the list of professionals under the Sporting and Other Recreational Services category. This means that Indians can now open yoga institutes in South Korea and Koreans can open taekwondo institutes in India under the EHP. South Korea also agreed to eliminate tariffs over a period of time on 17 Indian products – seven fish items, beer, jams and jellies, mango, corn, and maize, among others. In particular, South Korea will reduce the import tariff on shrimps from 20 percent to zero upfront for 15,000 tons; India’s total marine exports currently stands at 2,400 tons. Singapore and India successfully concluded the much awaited second review of their preferential trade pact in June 2018. 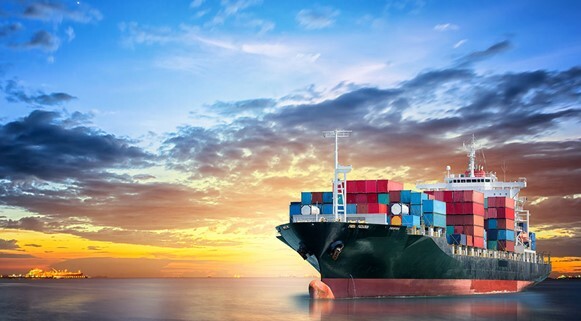 The two countries will reduce or eliminate tariffs on 30 additional products, relax rules of origin, allow for the inclusion of a ‘de minimis’ provision, and ensure mutual recognition of nursing standards. Changes to the preferential tariffs will apply to a variety of sectors, including foodstuff and nylon molding powder. Flexibility has also been introduced so that certain goods will qualify as originating from Singapore even if the amount of inputs used in production do not meet the new tariff classification requirement. In addition, product specific rules have been created for goods such as edible oils and machinery parts. Founded on August 8, 1967, ASEAN consists of Brunei Darussalam, Cambodia, Indonesia, Lao PDR, Malaysia, Myanmar, Philippines, Singapore, Thailand, and Vietnam. 2017 marked 25 years of India’s dialogue partnership with ASEAN, 15 years of summit level meetings, and five years of strategic partnership. India places great importance on developing its relationship with ASEAN given the organization’s economic, political, and strategic significance in the larger Asia-Pacific region. Strong ties with ASEAN is necessary to expand India’s market access, and to build greater connectivity between India’s northeastern states that border the Southeast Asian region. Towards this, India inked the framework agreement to activate its CECA with ASEAN on October 8, 2003. This initial agreement provided for an EHP, which covered areas of economic cooperation and a common list of items for exchange as an assurance building measure. Subsequently, the ASEAN-India Free Trade Area (AIFTA) was negotiated, and came into force on January 1, 2010. India also signed an FTA in services and investments with ASEAN in 2014, which came into force in 2015. In 2016-17, ASEAN accounted for about 10.4 percent of India’s exports and 10.6 percent of India’s imports. While ASEAN has committed to tariff reduction on over 4,000 products and tariff liberalization of over 90 percent – India currently suffers a trade deficit with the region. This is in the case of five ASEAN member states – Malaysia, Indonesia, Thailand, Brunei, and Lao PDR. The biggest deficit is with Indonesia, which has eliminated tariffs on only 50.1 percent items out of those named in the FTA agreement. Others: Handicrafts, small and medium enterprises, competition policy, Mekong Basin Development, intellectual property rights, and government procurement. Parties to the AIFTA may set up other bodies as may be necessary to coordinate and execute any economic cooperation activities undertaken pursuant to the FTA. The Bay of Bengal Initiative for Multi Sectoral Technical and Economic Cooperation (BIMSTEC) is a technical and economic cooperation forum formed in 1997, and including Bangladesh, India, Myanmar, Sri Lanka, and Thailand. Bhutan and Nepal joined the group in February 2004. BIMSTEC includes five members of the South Asian Association for Regional Cooperation (SAARC) – India, Bangladesh, Bhutan, Nepal, and Sri Lanka as well as two ASEAN members, Thailand and Myanmar, and is seen as a bridge between the two major regional organizations. India is pushing for the conclusion of an FTA with BIMSTEC, which has been pending since talks began in 2004. Currently, India and Thailand disagree on matters related to market access for professionals and duty cuts on traded goods and policy relaxation. Another major obstacle is India’s demand to negotiate fresh terms to the initial framework agreement, whereas all the other members want to maintain status quo. Otherwise, Bangladesh and Sri Lanka have been pushing for China’s entry, as an observer, which India is not open to considering. South Asia’s FTA is linked to the regional body SAARC, which was formed in Dhaka in December 1985. SAARC members are: Afghanistan, Bangladesh, Bhutan, India, Maldives, Nepal, Pakistan, and Sri Lanka. During the organization’s 12th SAARC Summit in Islamabad in January 2005, all member states approved to establish an FTA within their region. Consequently, SAFTA came into force on January 1, 2006. SAFTA has eliminated trade blockages, facilitated the cross-border movement of goods between the territories of the contracting states, promoted fair competition, created mechanisms to achieve joint administration and resolution of disputes, among other things. FTAs are, by nature, complicated documents. Is your product or service included within the FTA’s remit? If so, what are the dutiable advantages? What are the implementing rules and documentary requirements on claiming lower duties? Are there any tax advantages that may apply to my business operations? How can I implement and claim these? Such advice typically needs to be handled by a professional firm that is familiar with India’s FTA agreements and can assist with on-the-ground administration in order to ensure benefits can be obtained. India has tended to be somewhat long-winded and bureaucratic about some of its trade agreements. Despite this, certain FTAs, such as those with the ASEAN region have provided significant reductions on trade tariffs. While navigating India’s FTAs can be a protracted process, their benefits cannot be overstated and should always form part of your overall business strategy for investing in India. Editor’s Note: This article was first published in April 2011, and has since been updated to include latest developments. For inquiries, please email us at india@dezshira.com. Further information about our firm can be found at: www.dezshira.com.